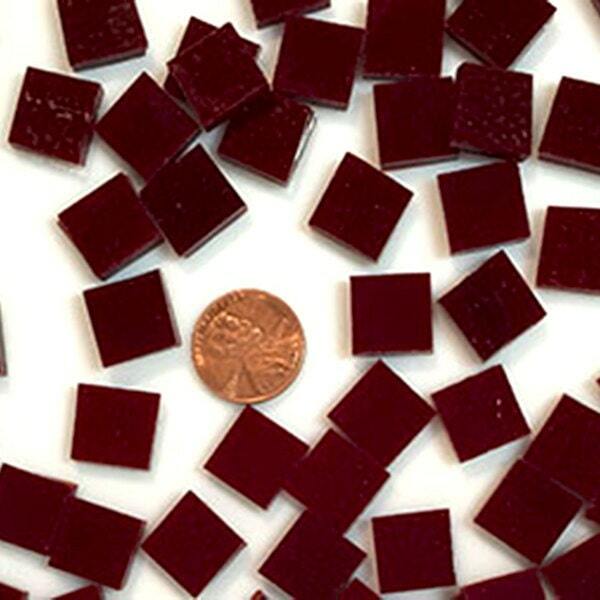 These Black Cherry Opal tiles are hand cut from Uroborus #60-618-96 System 96 Stained Glass Sheets which is Made in the USA! 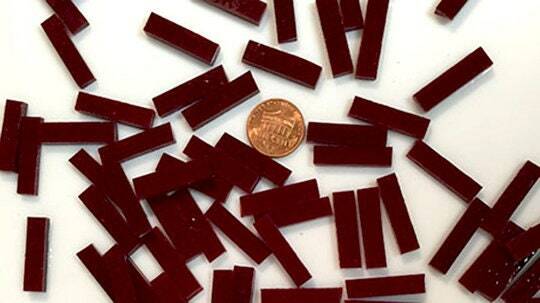 This Uroborus glass has a COE of 96 and is compatible with Spectrum and other COE 96 glass. 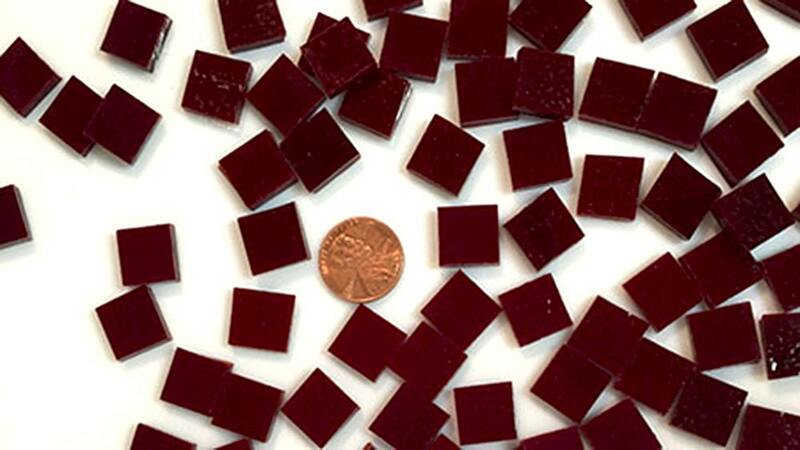 This is a deep rich dark cherry that could be used for two colors that are very difficult to find, maroon and garnet. It is completely opaque, has a slight orange peel texture on one side and is smooth on the other. 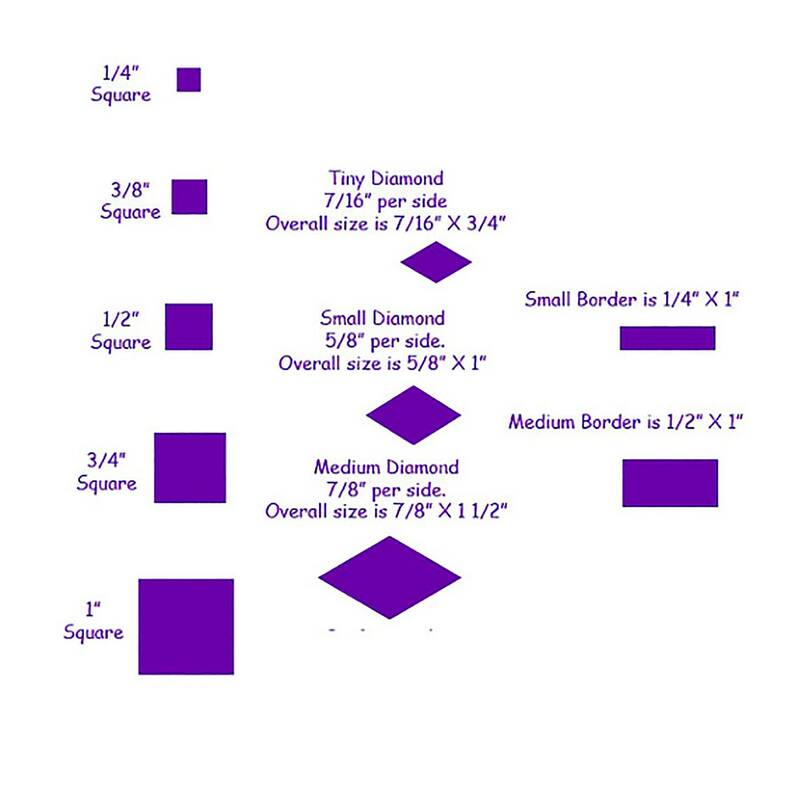 It is 1/8" thick, and can be used for fusing and mosaics. Love your little glass pieces. Worked perfect for A&M! Black Cherry Opal. 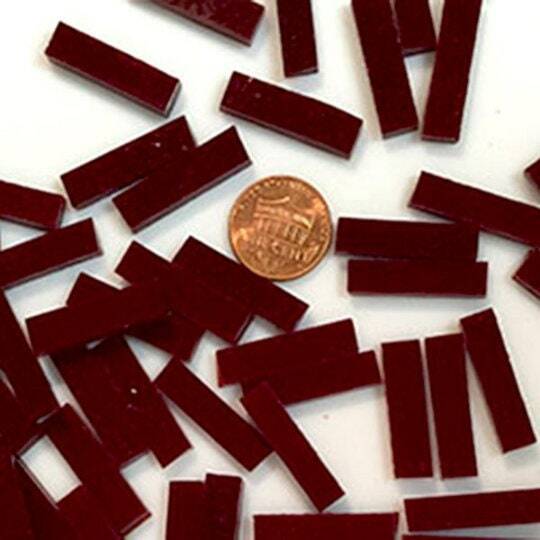 These tiles are a rich, dark red.